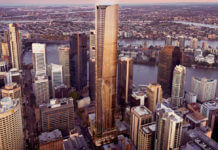 Financial services giant Suncorp Group has announced that it has chosen Mirvac’s 80 Ann Street commercial proposal as its new headquarters. 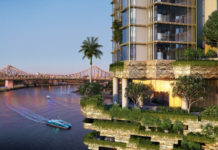 The fierce competition to win Suncorp came down to two bids, with rival Investa/Charter Hall losing out to Mirvac with its 360 Queen Street proposal. Suncorp will lease 39,600 sqm of premium grade commercial space over a ten-year lease and consolidate operations into the new building. Hoarding is currently being erected around 80 Ann Street with demolition of the existing commercial building at 80 Ann Street imminent. Completion of the new Suncorp headquarters is scheduled for completion in 2022, in time for Suncorp’s current lease expiry at Brisbane Square. 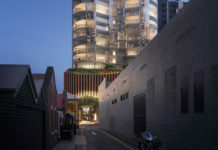 Designed by Woods Bagot, 80 Ann Street, which is now approved by council spans one whole city block and plans to connect Turbot and Ann Streets via new cross block linkages. “It will provide the flexibility we require for our future workforce and is an opportunity to bring our teams in Brisbane together into one location, creating efficiencies as we have done in Sydney, Auckland and Melbourne,” he said. The development application number for this project is A004855926. Exciting times ahead for Suncorp. It’ll bring that often quiet strip of Ann Street to life.